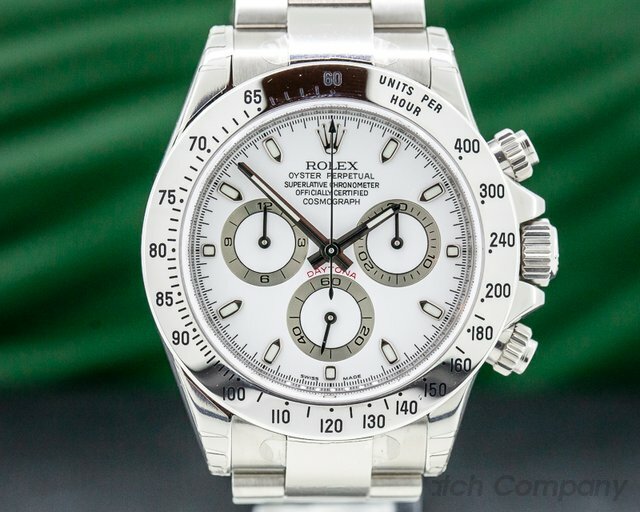 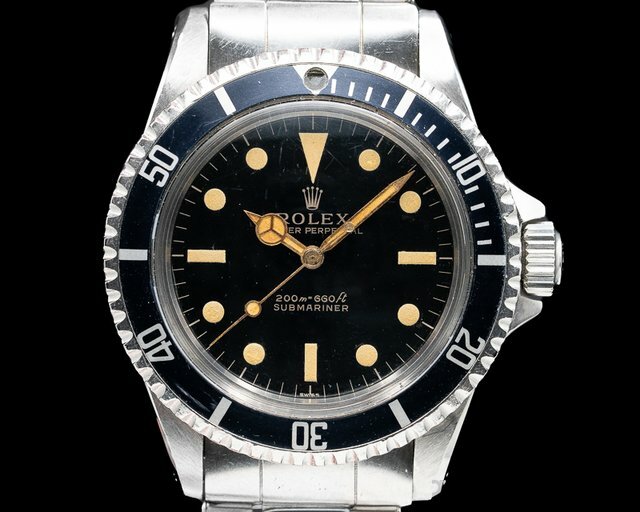 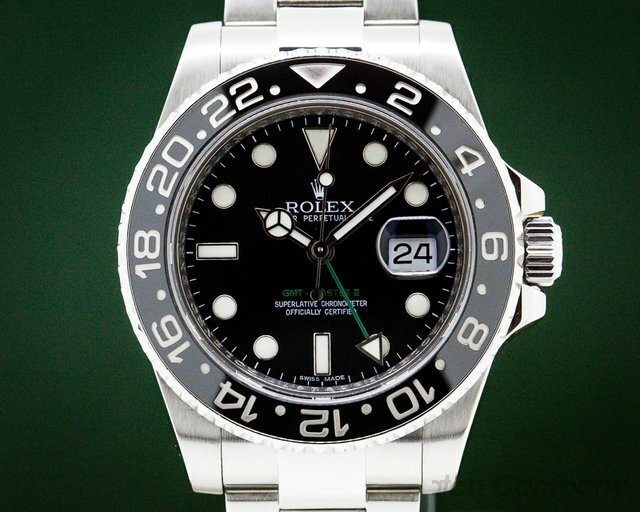 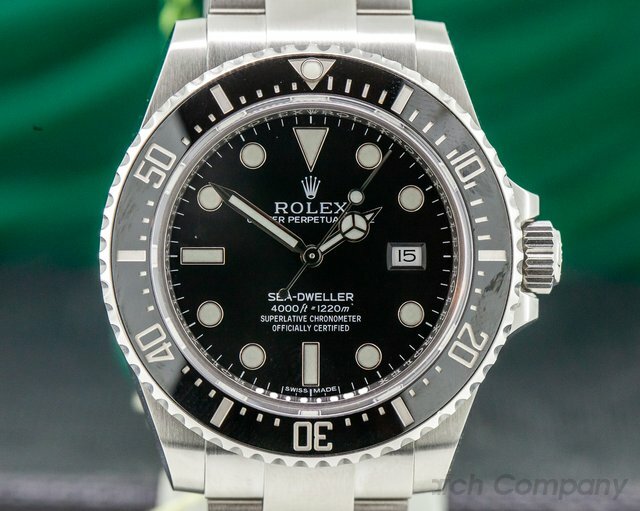 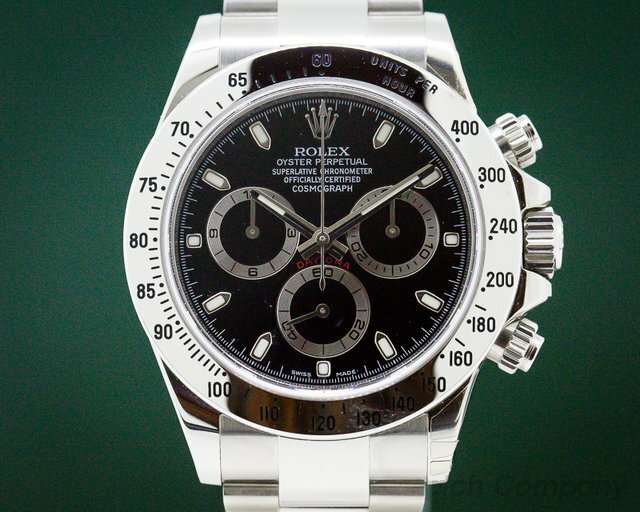 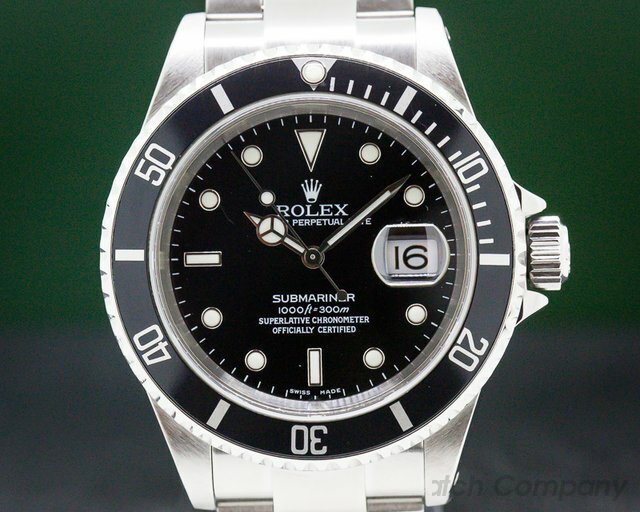 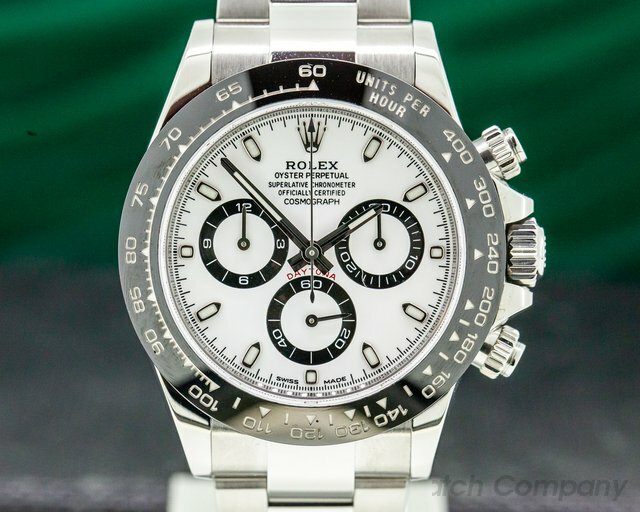 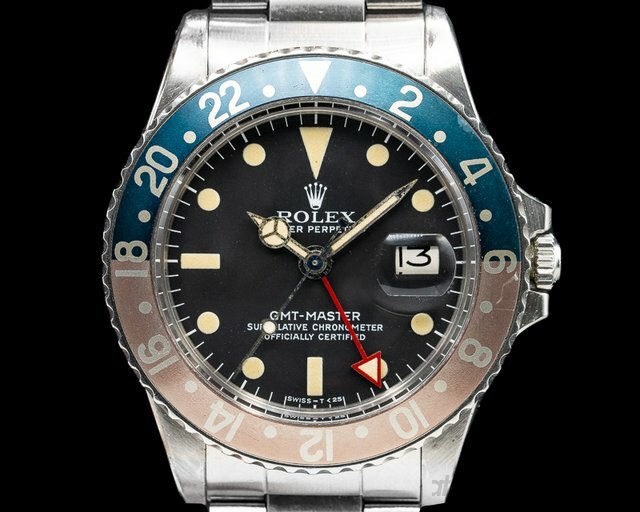 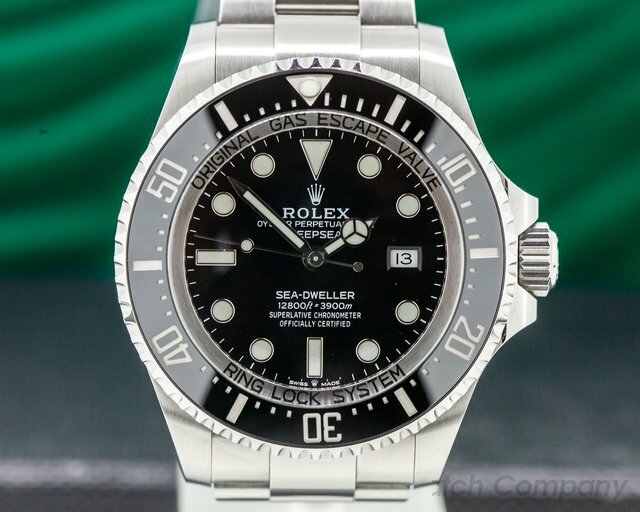 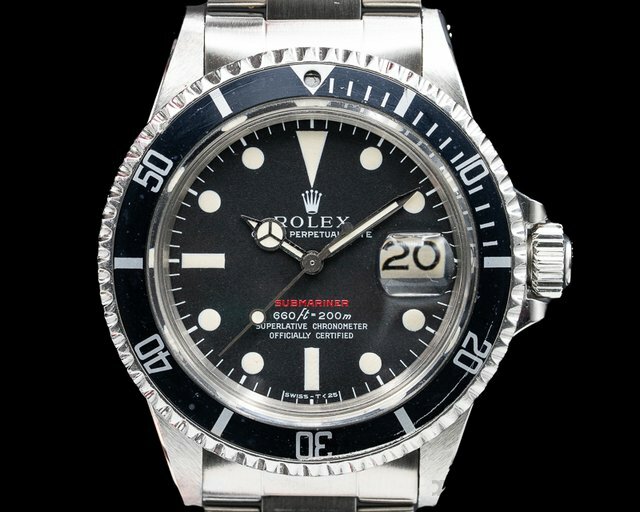 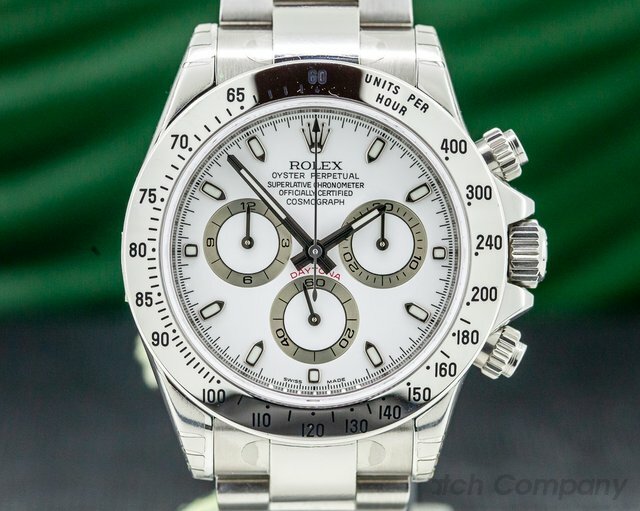 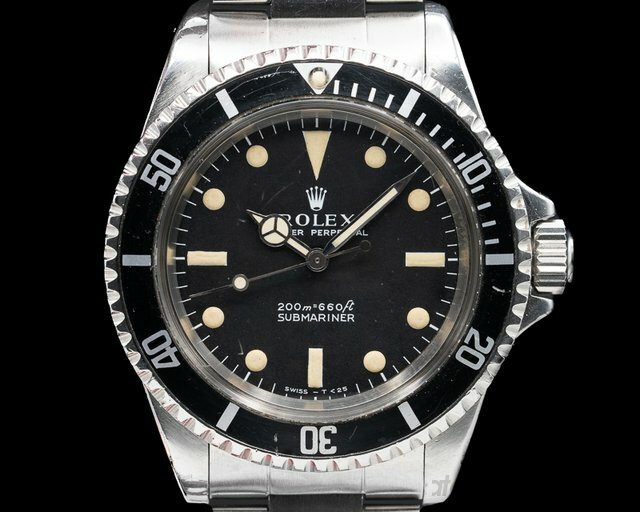 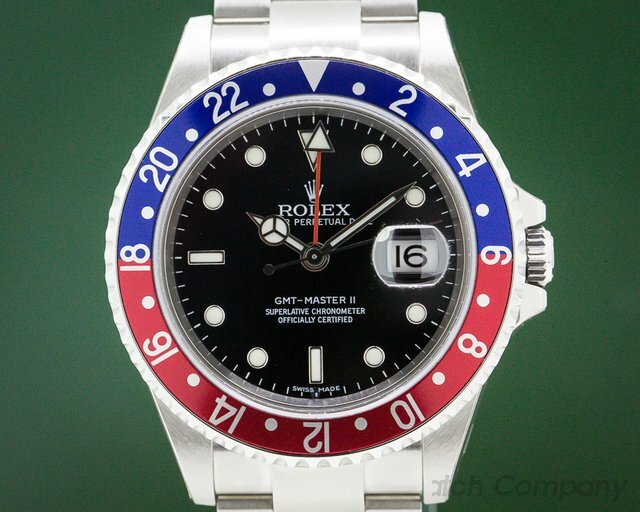 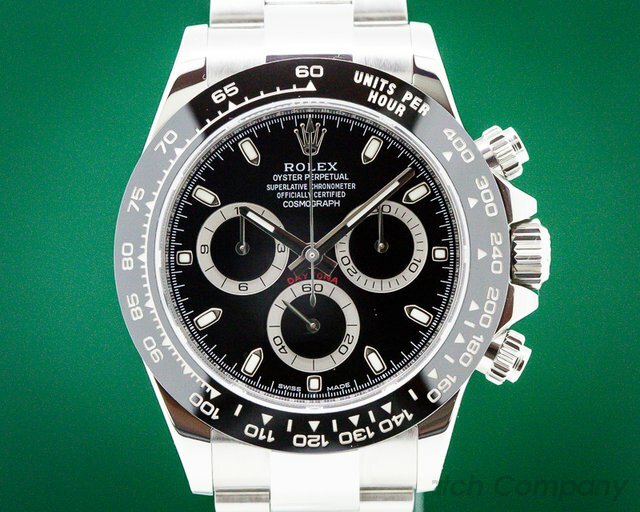 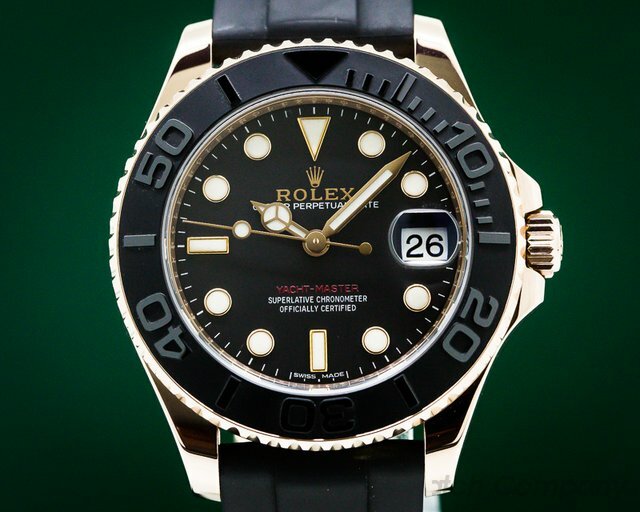 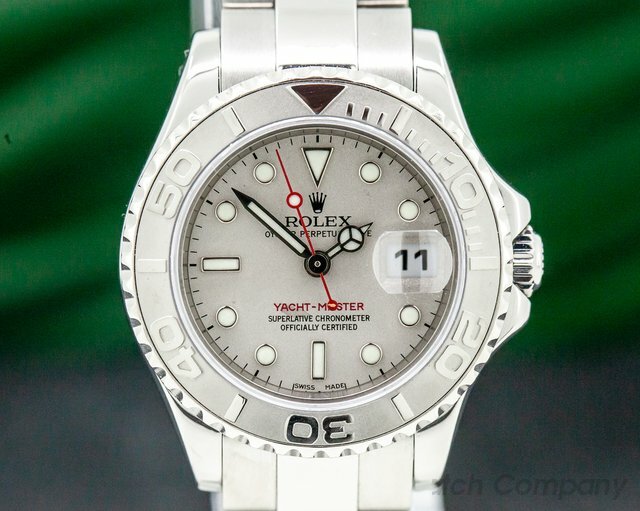 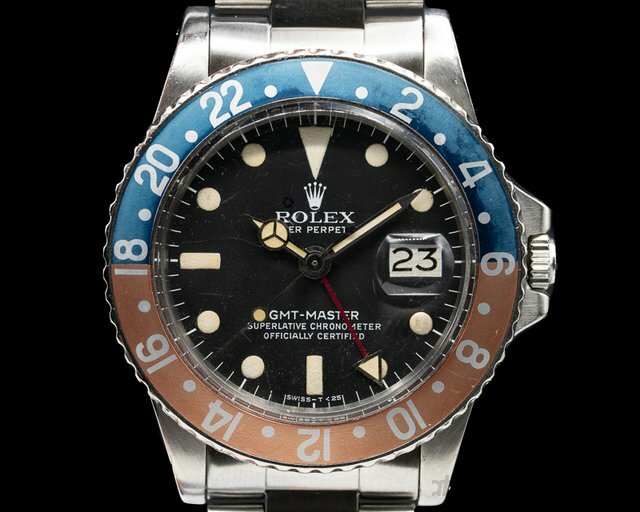 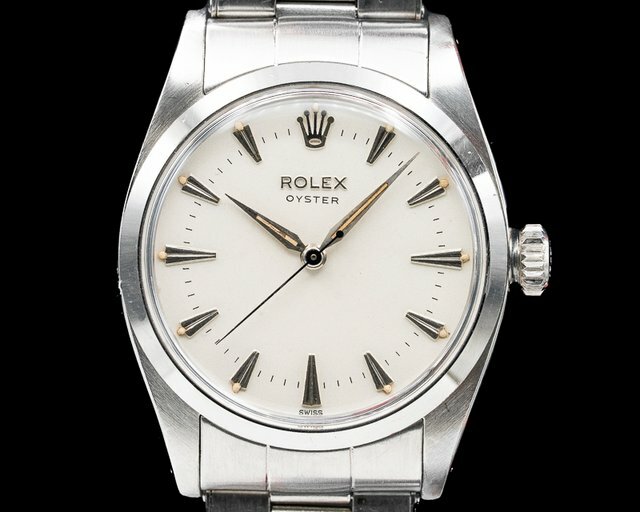 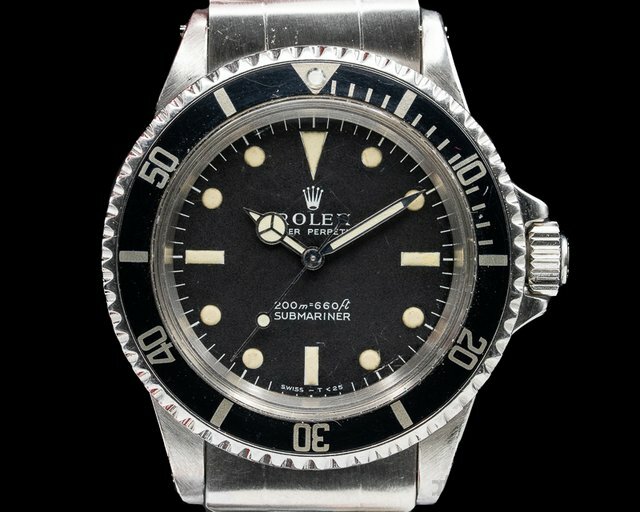 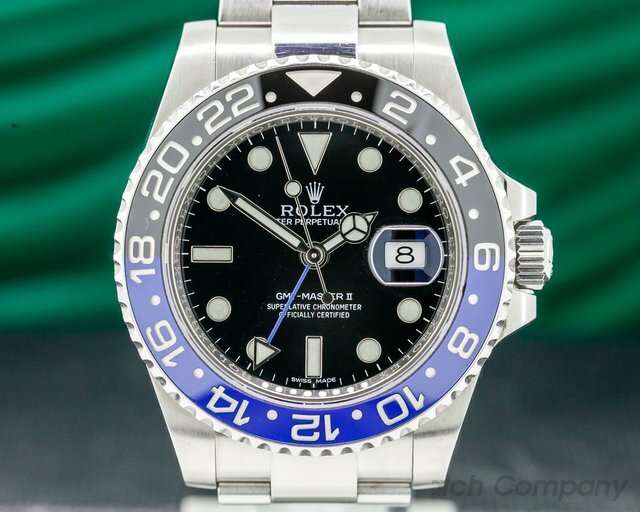 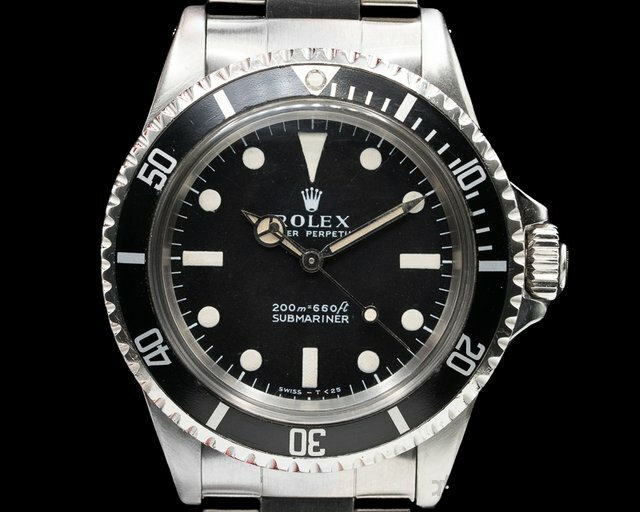 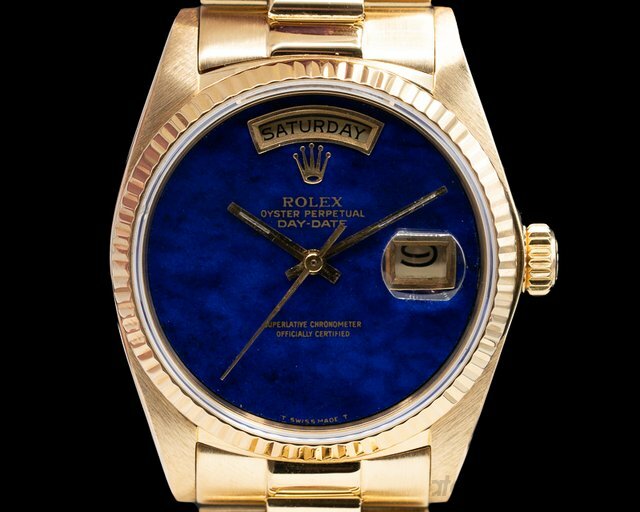 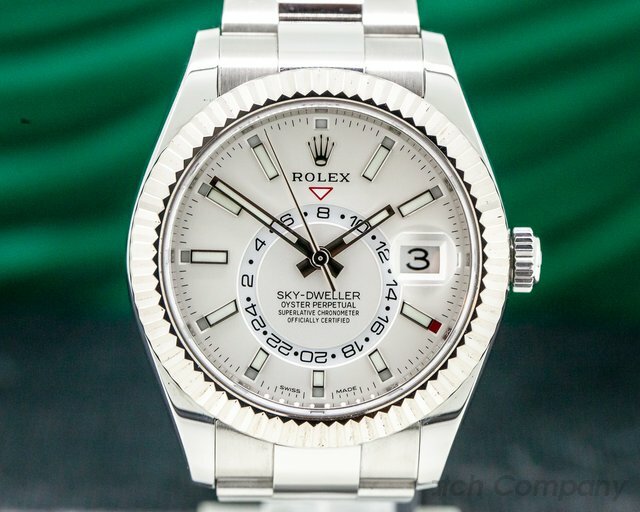 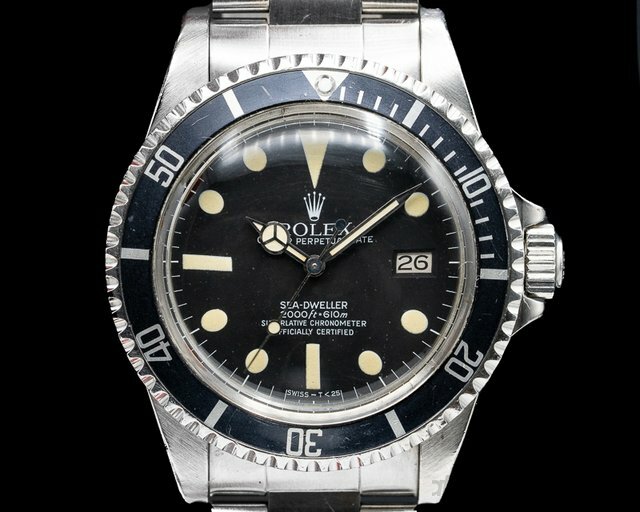 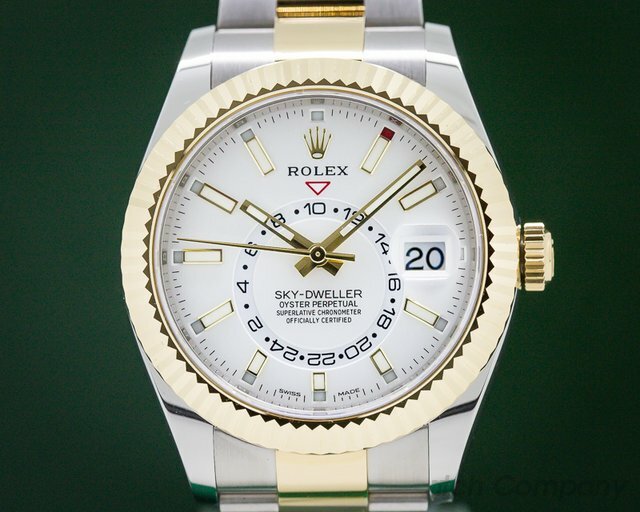 Below is our current in stock inventory of Rolex watches. 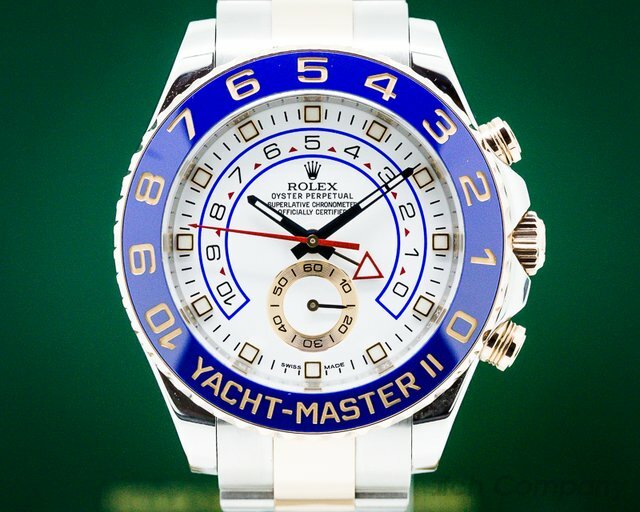 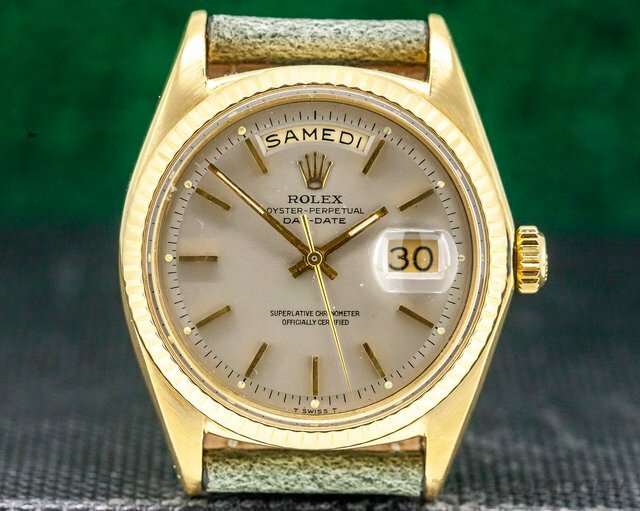 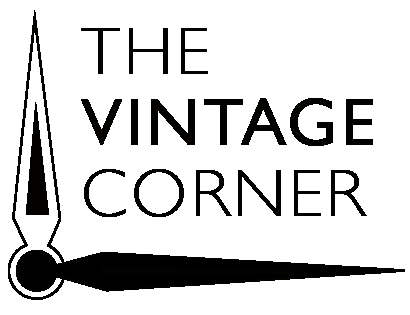 If you have a Rolex you are interested in selling or trading please contact us. 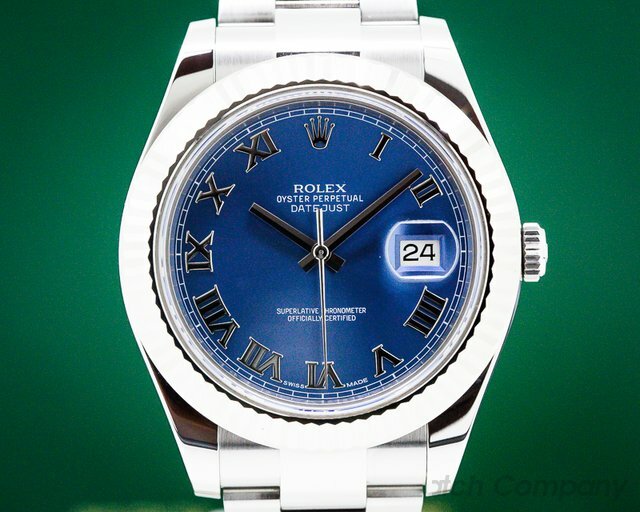 31241 Rolex 116334 Oyster Perpetual Datejust II, stainless steel on a stainless steel oyster bracelet with 18k white gold fluted bezel, automatic Rolex caliber 3135 movement, date, centered sweep seconds hand, blue dial with applied white gold Roman numerals, COSC, sapphire crystal, scramble series, diameter: 41mm, thickness: 11.8mm, Like New with Box and Papers, dated August 2018. 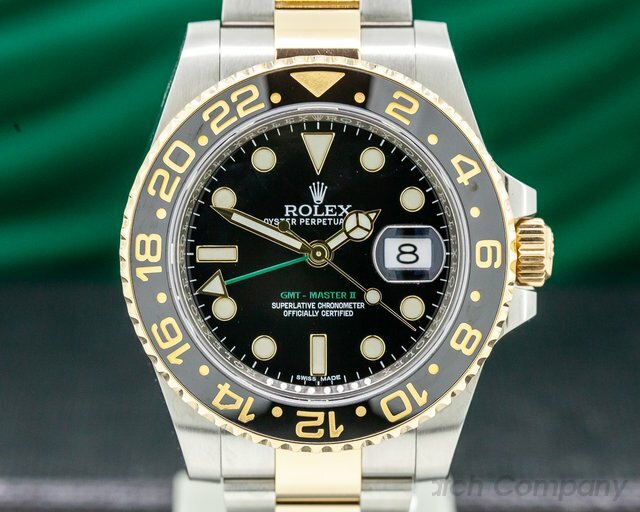 31224 Rolex 268655 Yacht Master Midsize Oyster Perpetual Date, 18K rose gold on a black Oysterflex rubber strap with 18K rose gold deployant buckle, automatic Rolex caliber 2236, date, sweep second hand, rotatable bezel, COSC, luminescent hands and hour indicators, screw-down crown, sapphire crystal, water resistant, size: 37mm, thickness: 10.5mm, scrambled series, Like new with box and papers dated June 2017. 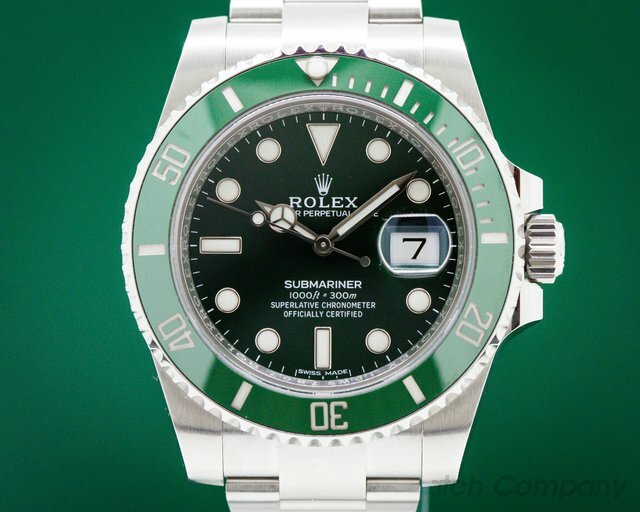 31188 Rolex 116610LV Green "Hulk" Submariner, 116610, stainless steel on a stainless steel oyster bracelet, green ceramic bezel, green dial, automatic, COSC, date window with magnifying bubble at 3 O'Clock, centered sweep second hand, sapphire crystal, rotating bezel, screw down crown, water resistant to 300 meters, size: 40mm, thickness: 12.8mm, scrambled serial number, Unworn with box and papers from 2019. 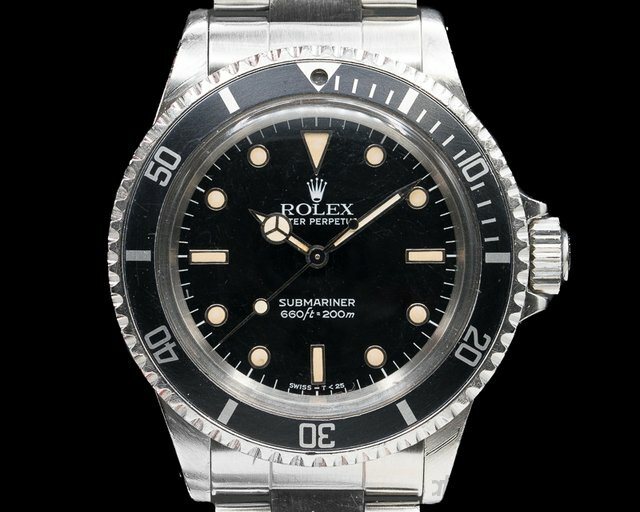 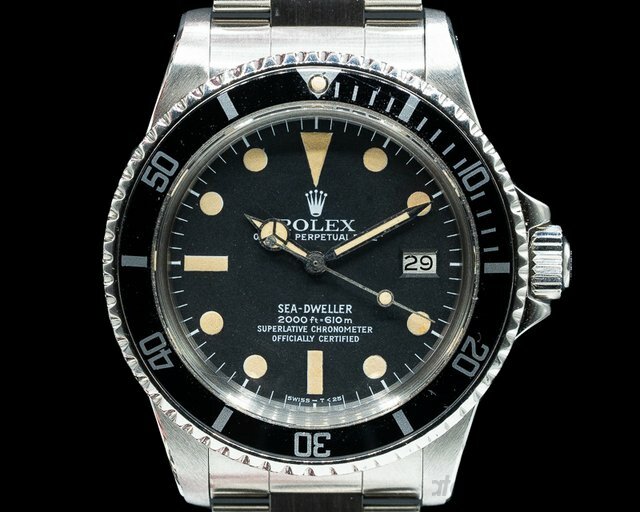 31136 Rolex 16610 Submariner Oyster Perpetual Date, stainless steel on a stainless steel oyster bracelet, black dial with luminous hour markers, luminous hands, automatic Rolex caliber 3135 movememt, date window with magnifying bubble at 3 o'clock, centered sweep second hand, cosc, sapphire crystal, uni-directional rotating bezel, screw-down crown, Y series (2002), water resistant to 30 meters, size: 40mm, thickness: 13mm, Like New with Rolex Box. 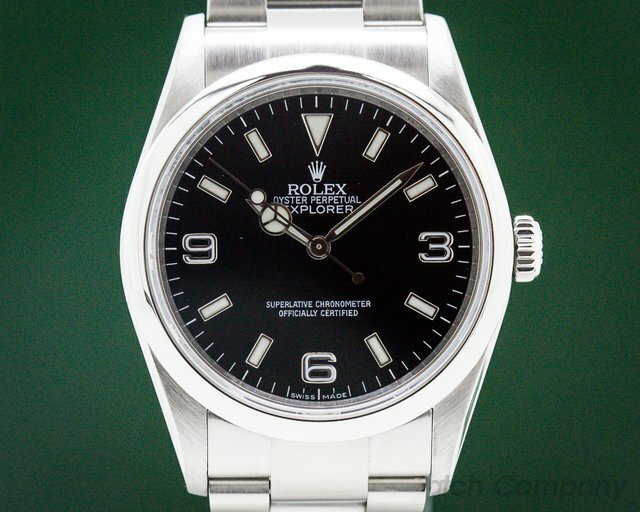 31099 Rolex 114270 Explorer I, stainless steel on a stainless steel oyster bracelet, automatic Rolex caliber 3130 movement, black dial with luminous hands and hour indicators, centered sweep second hand, COSC, water resistant to 100 meters, sapphire crystal, Y series (2003), diameter: 36mm, thickness: 12mm. 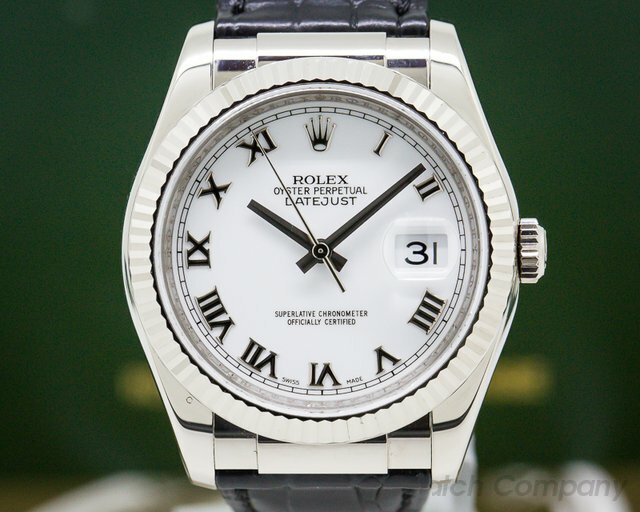 Like New with Rolex Box. 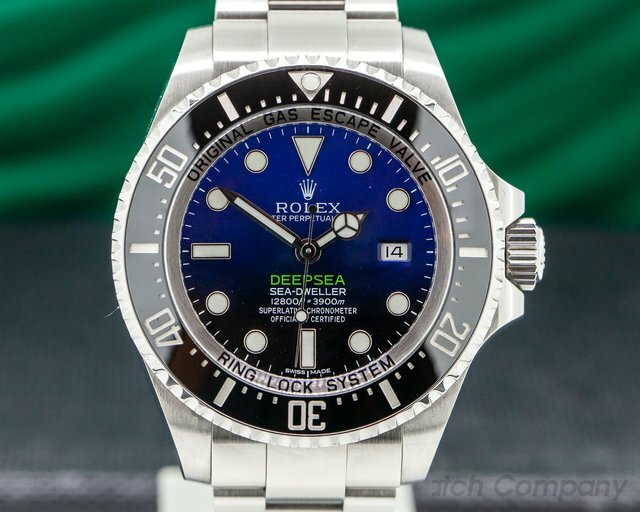 31106 Rolex 116660 Sea Dweller Deep Sea Deep Blue James Cameron, 904L stainless steel on a stainless steel oysterlock bracelet, automatic caliber 3135 movement, date at 3 O'Clock, centered sweep seconds hand, COSC, uni-directional rotating bezel, screw down crown, titanium caseback, luminescent hands and hour indicators, blue dial depicting the depths of the sea, DEEP SEA written in the same green color as Cameron's submersible, water resistant to 3900 meters/12800 feet, diameter: 43mm, thickness: 17.8mm, scrambled series. 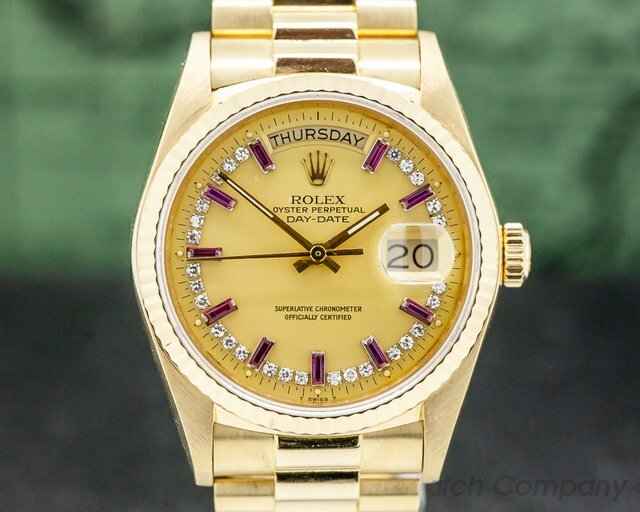 Like New with original box and papers which are dated June of 2017. 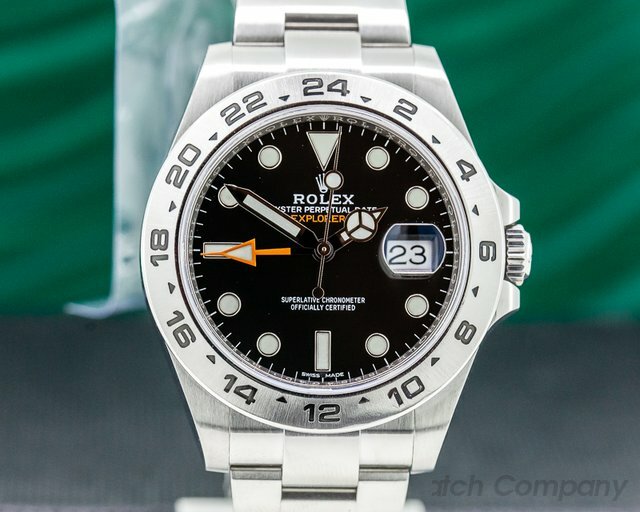 31102 Rolex 126660 Sea Dweller Deep Sea, stainless steel on a new wider stainless steel Oysterlock bracelet, new automatic Rolex caliber 3235 movement, luminous applied hour indicators and hands, date at 3 o'clock, centered sweep seconds hand, COSC, uni-directional rotating bezel, screw down crown, helium escape valve, diameter: 43mm, thickness: 17.8mm, water resistant to 3,900 meters/12,800 feet, scrambled serial. 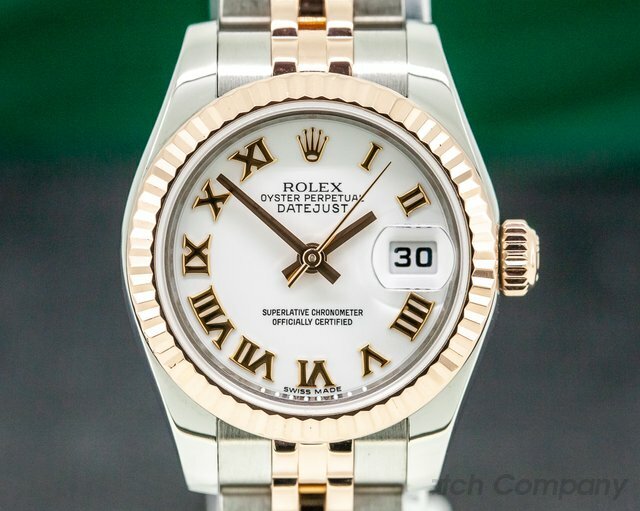 Like New with with Box and Papers; dated June 2018. 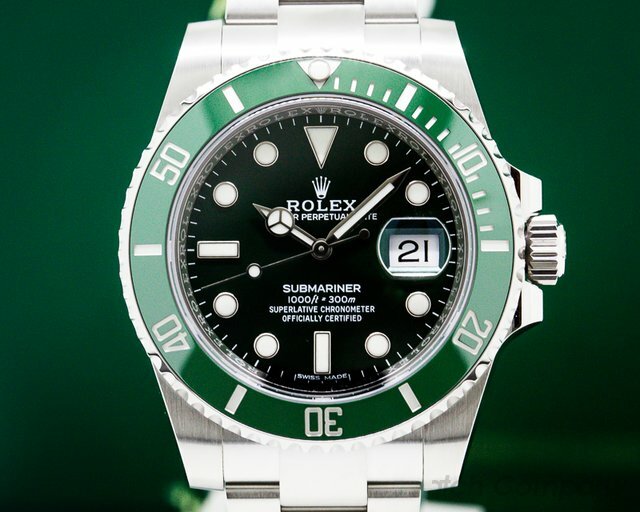 31012 Rolex 116610LV Green "Hulk" Submariner, 116610, stainless steel on a stainless steel oyster bracelet, green ceramic bezel, green dial, automatic, COSC, date window with magnifying bubble at 3 o'clock, centered sweep seconds hand, sapphire crystal, rotating bezel, screw down crown, water resistant to 300 meters, size: 40mm, thickness: 12.8mm, scrambled serial number. 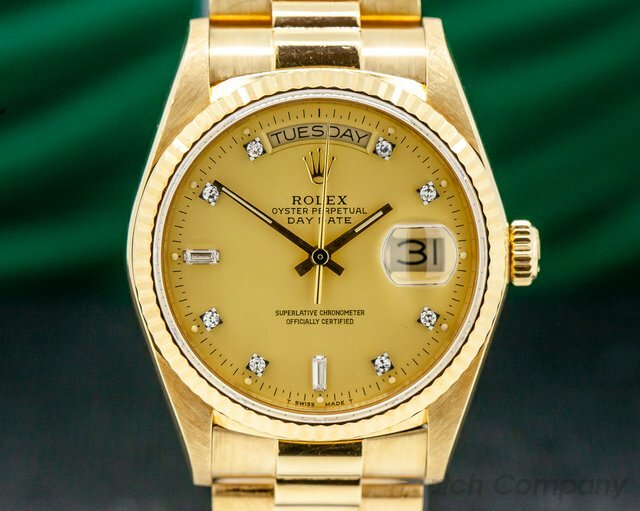 Like New and with original box and papers dated November of 2017. 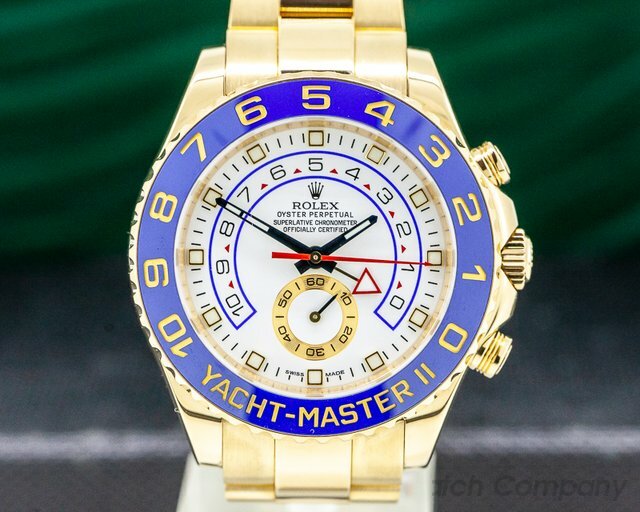 30788 Rolex 16618 Submariner Gold, 18k yellow gold case is beautiful condition maintaining the factory finish and appears to be unpolished, on a yellow gold Oyster bracelet (93258 with solid endlinks), blue dial with applied luminous hour markers and blue aluminum rotating bezel, automatic Rolex caliber 3135 movement, date at 3 o'clock, sapphire crystal, water resistant 1000ft, Y series (2002), size: 40mm, thickness: 13m, Like New and Complete with Original Box, Booklets, Hang Tags, Gold Anchor, and Papers; dated 8/2007. 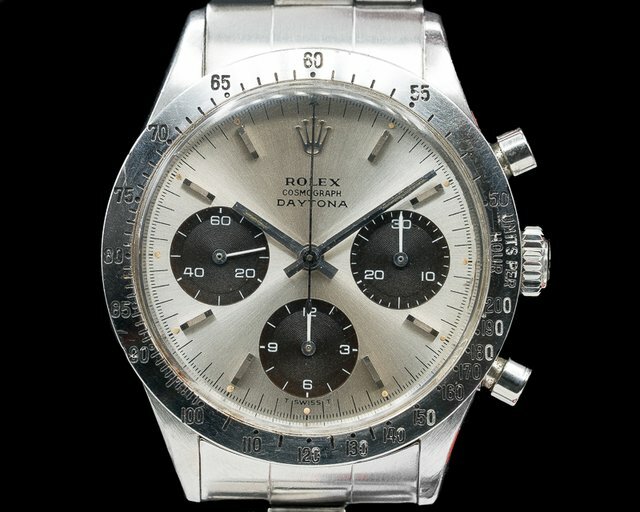 This watch was purchased from the original owner. 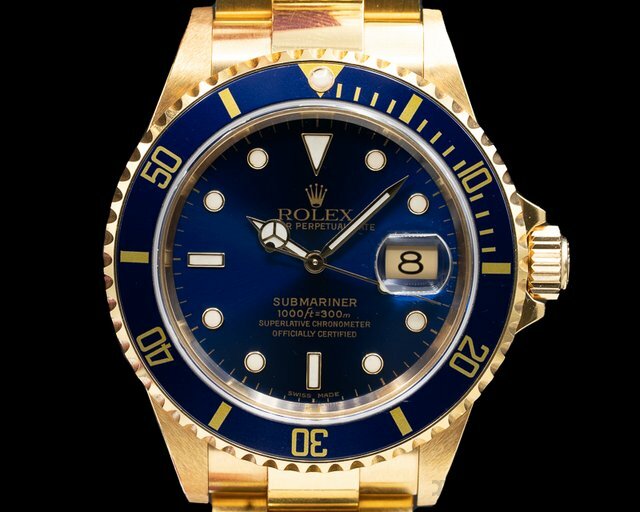 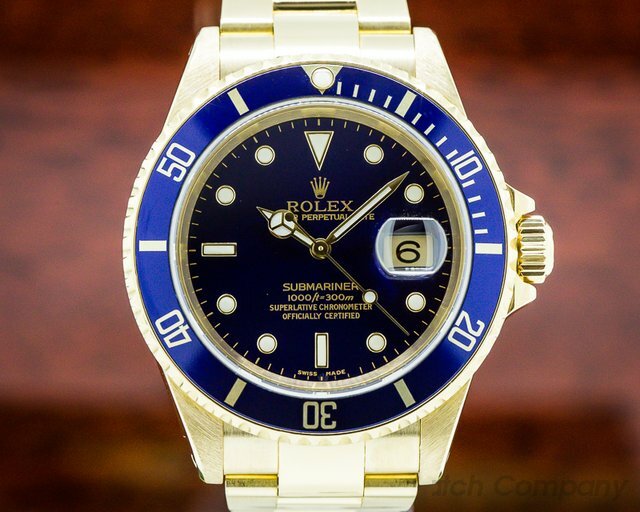 30618 Rolex 16618 Submariner Gold, 18k yellow gold case is beautiful condition maintaining the factory finish and appears to be unpolished, on a yellow gold Oyster bracelet (93258 with solid endlinks) which also appears unpolished, blue dial with applied luminous hour markers and blue aluminum rotating bezel, automatic Rolex caliber 3135 movement, date at 3 o'clock, sapphire crystal, water resistant 1000ft, Y series (2002), size: 40mm, thickness: 13m, Excellent Condition and Complete with Original Box, Booklets, Hang Tags, and Papers; dated 2/2004. 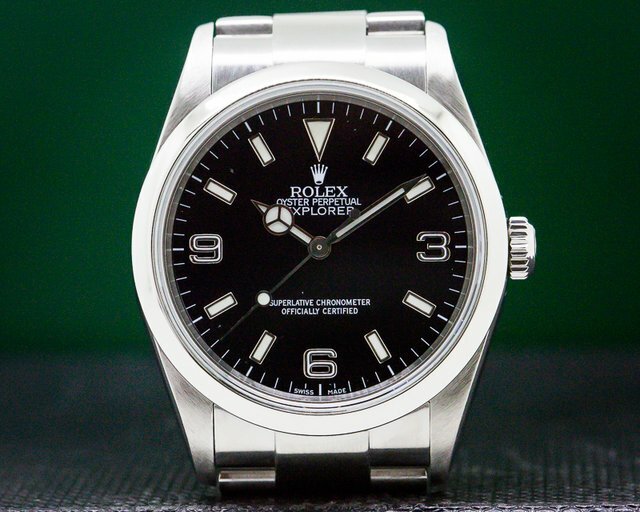 This watch was serviced by Rolex in 6/2018.